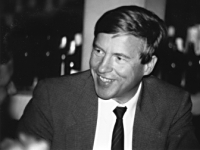 Peter Manfred Gruber, born in 1941, has been holding the Chair of Mathematical Analysis at the Vienna University of Technology since 1976. He started his work in the Geometry of Numbers and then switched to Convex Geometry with occasional excursions to his old field and to Discrete Geometry. Over the years a research group has developed around him: his former students and members of his research group include Chuanming Zong (Beijing), Christian Buchta (Salzburg), Martin Henk (Magdeburg), Monika Ludwig (New York) and Matthias Reitzner (Osnabrück). The idea of this conference is to present an image of modern Convex and Discrete Geometry. We also hope that it will be a meeting point for colleagues and friends from many countries. Martin Henk, Univ. Magdeburg Chuanming Zong, Peking Univ. Here you can find some pictures taken at the reception and during the conference.